"Although written for older children I totally love this book! Some people fall down rabbit holes. Others hide inside magical wardrobes. Skye Thistle looked through an old spyglass. Lost and alone on a world filled with Goblins, Orcs, Dragons and others that, until now, she was convinced existed only in fairy tales, Skye wants only one thing: to return home. If she’s to have any chance of getting home safely, Skye must overcome her own fears and prejudices and embrace the prophecies that she fears have already sealed her fate on the distant world of Ithilmir. All that stands in the way of restoring peace and balance is a fearsome and worryingly familiar Dark Queen. Goblins are very real, and whether Skye believes in them or not, she's their only hope. 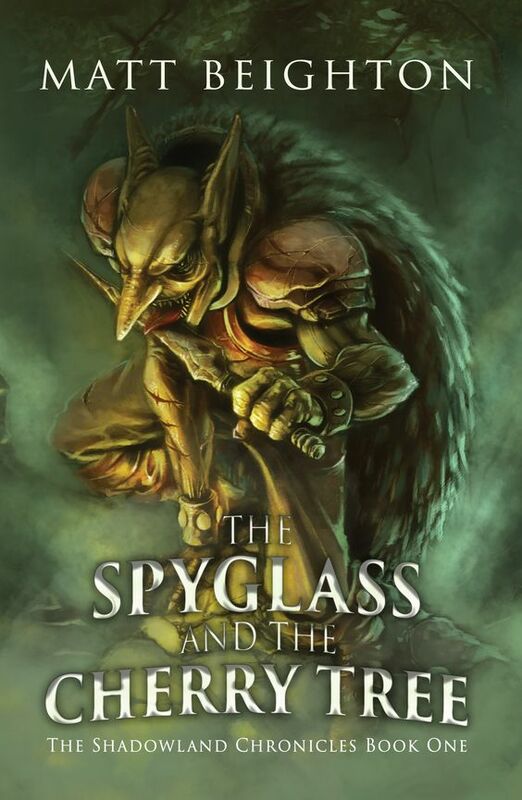 Readers around the world are enjoying the complex mythology and descriptive world building of The Spyglass and the Cherry Tree, the first adventure in the Shadowlands Chronicles. Sparks leapt into the air as the metal blades of heavy axes fought against unyielding stone. Endless rain poured down the mountainside sweeping through the valleys and picking up speed and volume as it flooded rivers and lakes and scythed through the forests before rushing into the ever-widening quarries that erupted like boils on the landscape. The crack of whips echoed around the hills as hideous creatures, twisted and warped like demons from a nightmare, bent double under the urgent force of their masters driving them deeper and deeper into the ground. Many drowned, dragged under the rising water by their heavy clothes but still they were driven on. Their masters were frenzied in their desire for that which history had long foretold was hidden out of sight. Scurrying amongst the slaves, leather-clad shamans were protected from the worst of the rain but were soaked through nonetheless by their insistence on dropping to the bottom of each new hole and listening intently to the rocks and tree roots that were being unearthed. Each one would pull out a bone horn and place it to the wall and listen intently whilst all digging around them stopped and the workers fell quiet. Only the sound of falling rain and distant thunder interrupted the silence. Inevitably, they’d shake their heads and look to the sky in anguish, and the digging would resume. As days blurred into months into years and eventually into centuries, the race known as the Shrunken dug deeper into the bowels of their world scarring its landscape forever. Rivers were dammed and diverted and forests plundered for their timber. Not a hill went untouched nor a valley left unmined in their insatiable quest. Until one day a shaman, crouched on his knees at the foot of a deep well hidden in the shadows of an ancient oak tree, his horn pressed firmly to the sodden clay wall, sighed and closed his eyes. Silently, he stood tall, and this time he didn’t shake his head. Instead, he nodded almost imperceptibly to the solitary young miner who stood alone as the only other witness to what was about to happen. The miner lay down his axe and reached into his belt for a smaller, more delicate trowel. He took to his knees and slowly, painstakingly teased away the mud ignoring the muddy water and nervous sweat that ran down his face. Eventually, he took a step back and, along with the shaman, looked down upon the oily black glass that shimmered even in the half-light of the storm. The shaman turned and walked slowly away, stopping only to whisper a message to one of the guards at the entrance to the hole. Behind him, the swish of a sword followed by a deep moan and wet thud reassured him that the only witness to the discovery had been taken care of. It had been found. Matt Beighton was born somewhere in the midlands in England during the heady days of the 1980s and continues to spend most of his days in the same shire. He is happily married with two young daughters who keep him very busy and suffer through the endless early drafts of his stories. When he's not writing, he teaches primary school (Kindergarten to some of you), messes around on canals in his inflatable kayak and supports his beloved Leicester City. 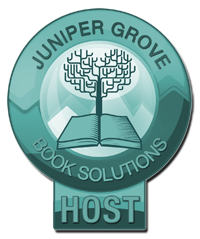 He is currently recruiting avid readers of children's books for his Street Team. Find out more and request to join at street-team.